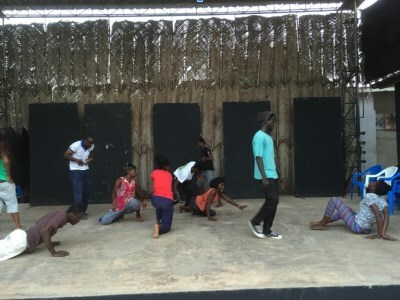 Invitation from colleague Rodrigue Norman led to a dozen of students of STAL to participate in a a two weeks workshop on the subject of postdramatic theatre. The workshop was partly theoretical (using the french translation of Lehmann's study on postdramatic theatre) and partly practical to gain access to methods and practices that don't depend on texts in order to create theatre. 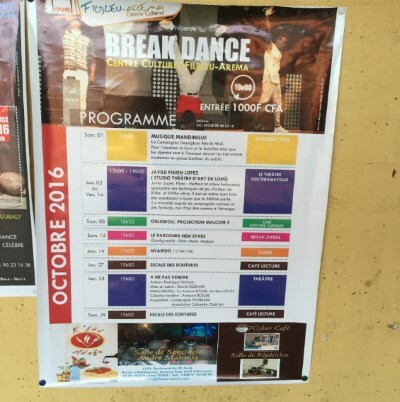 This workshop form one of the series of related workshops to which the students can subscribe. Prior experience of the theatre is required. 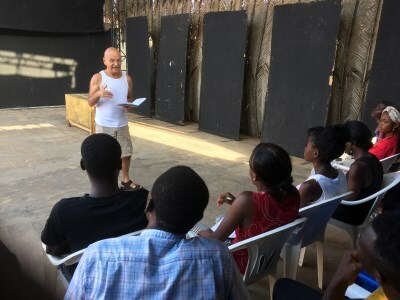 Rdorigue himself, together with the adminsitrateur of the STAL, Joe Ajavon, had presented a workshop on the main 20th century currents in theatre prior the the one Javier presented. The workshop was finished by a short presentation of the developed material.